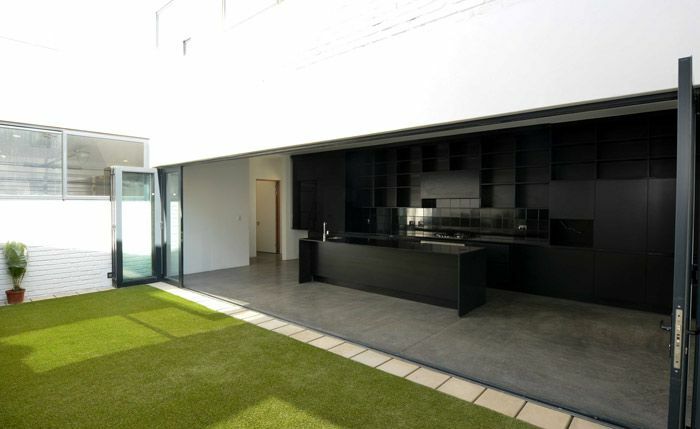 The Gardens, Johannesburg, 504sqm. 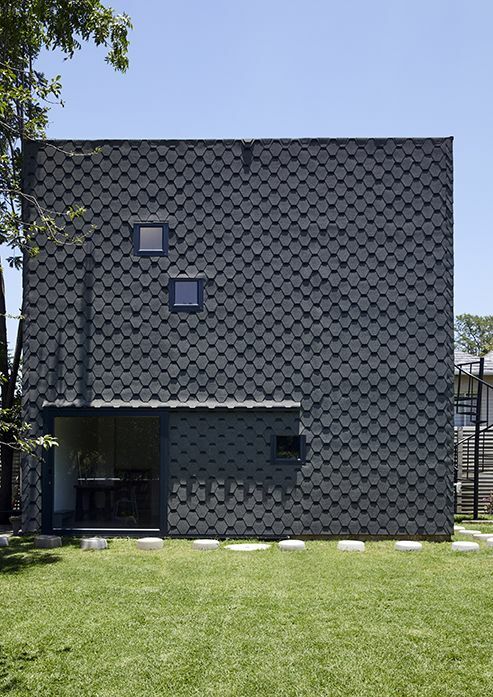 New home and studio for the Katz family overlooking a park. 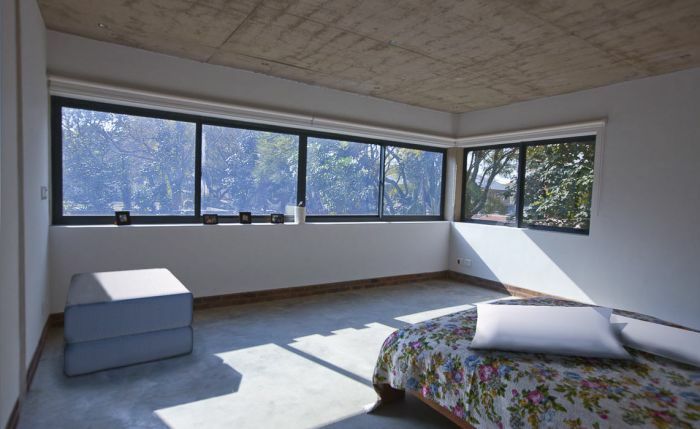 Norwood, Johannesburg, 3x 340sqm. 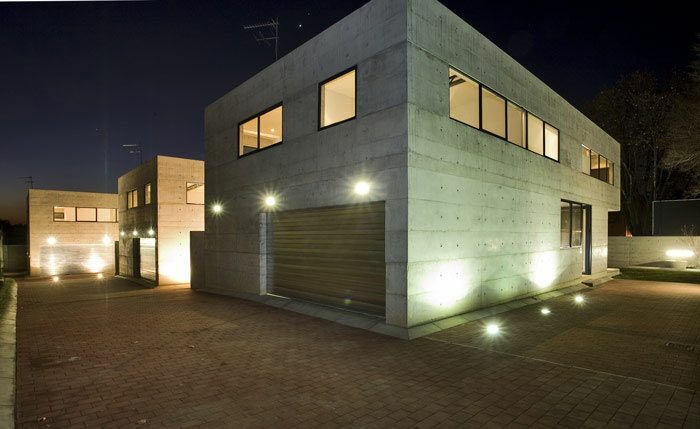 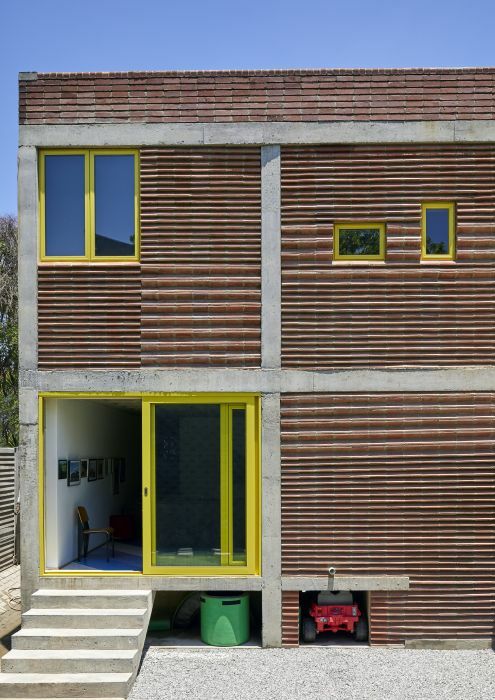 A complex of three identical 2-storey houses built almost entirely of cast concrete. 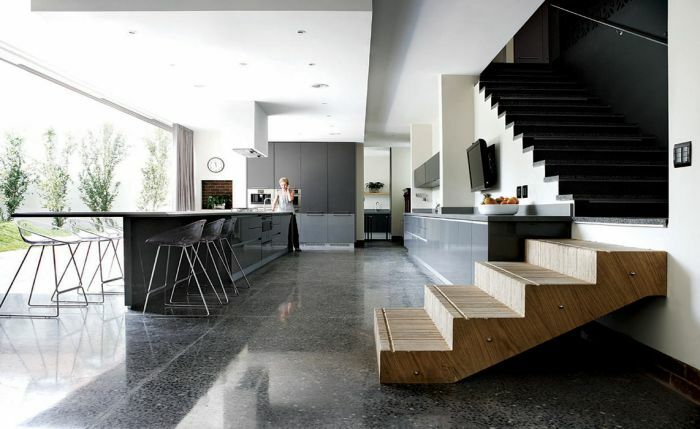 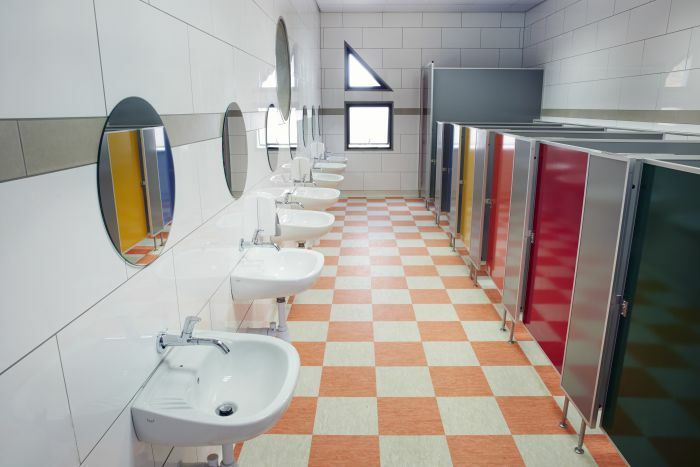 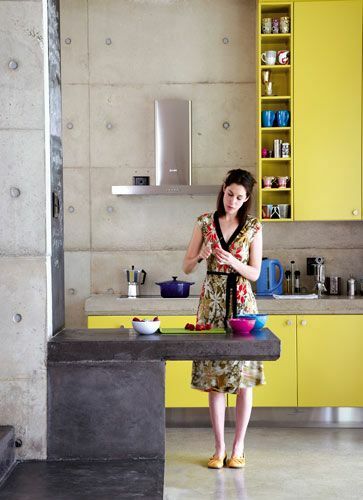 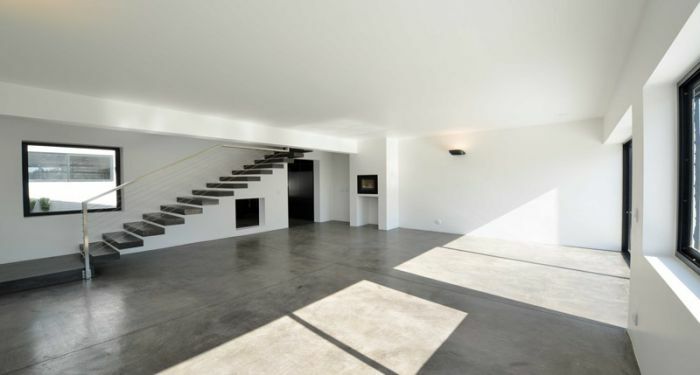 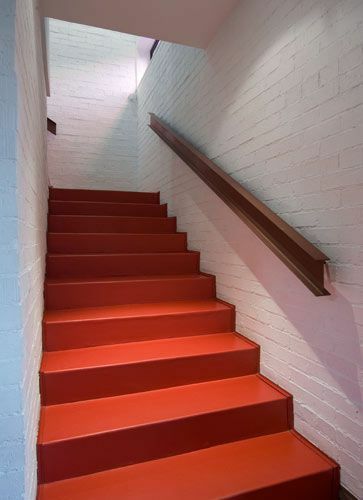 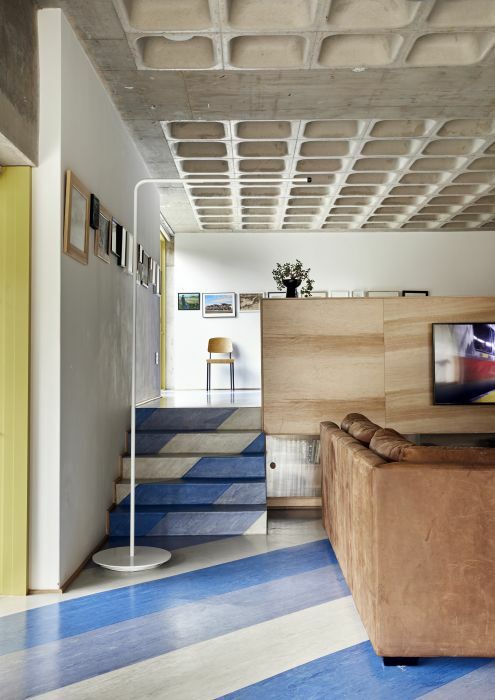 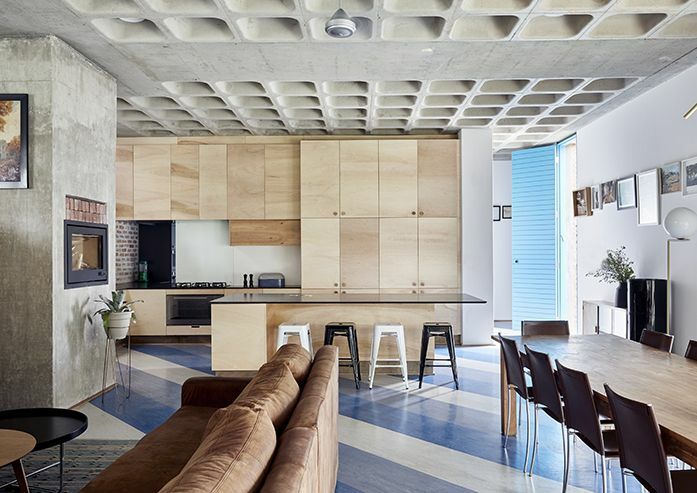 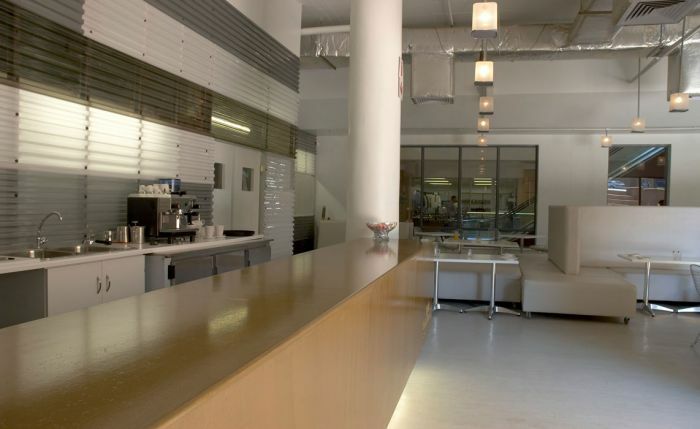 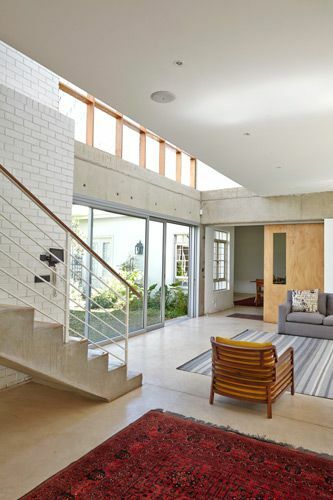 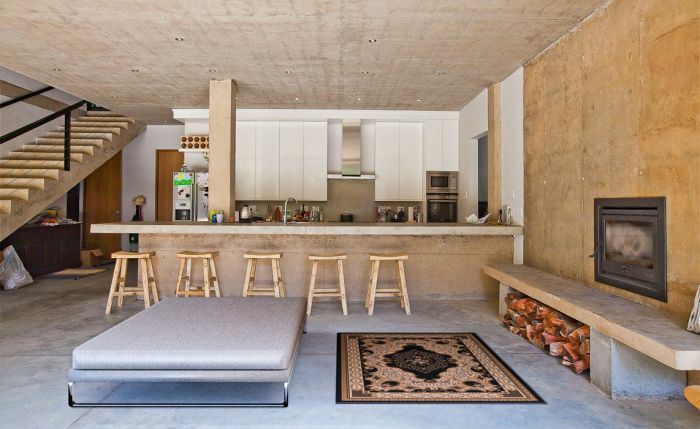 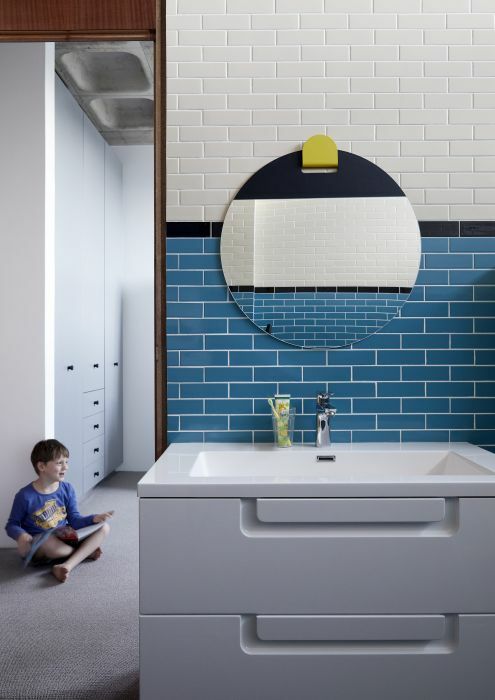 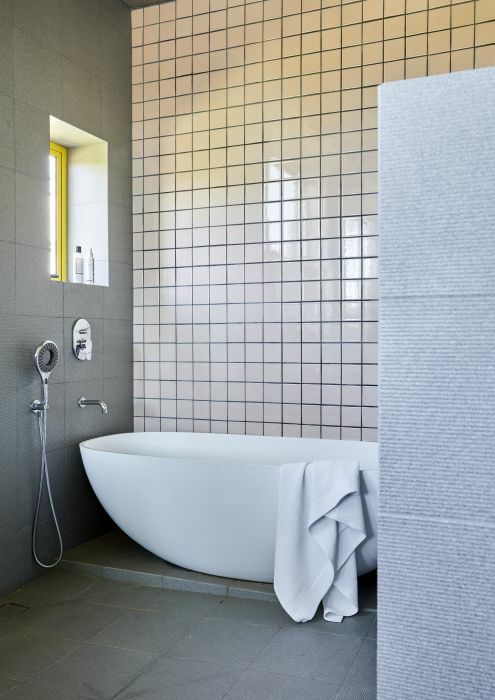 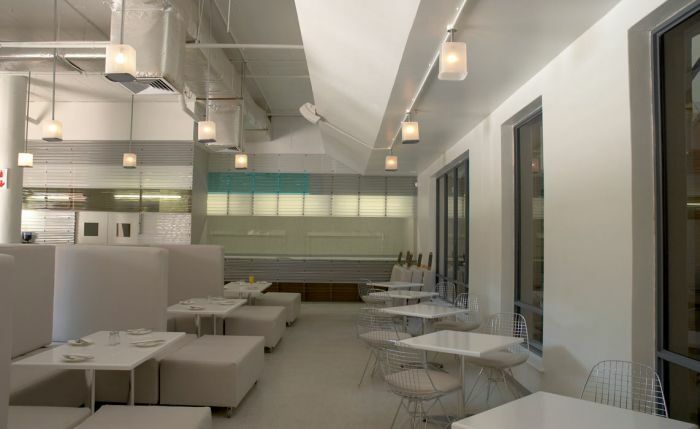 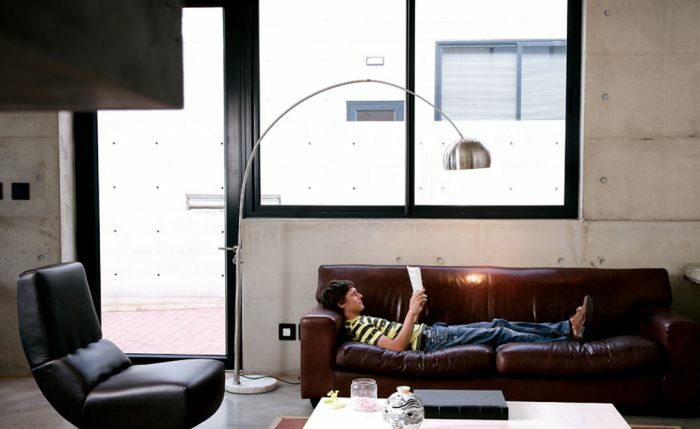 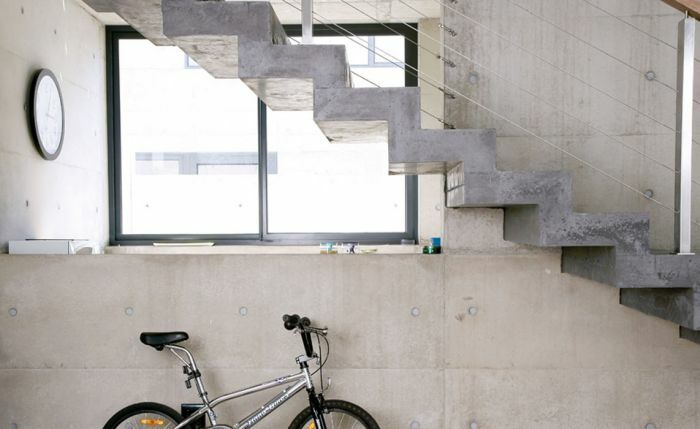 The walls, floors and ceilings all have a smooth, exposed concrete finish. 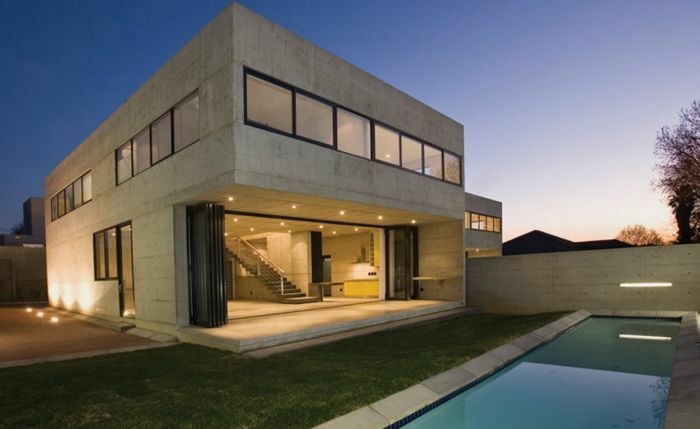 The strict rectangular form is “eroded” at the northern corner to create a veranda with an uninterrupted 12m cantilever roof overhang; these spans are possible because the house is made of reinforced concrete. 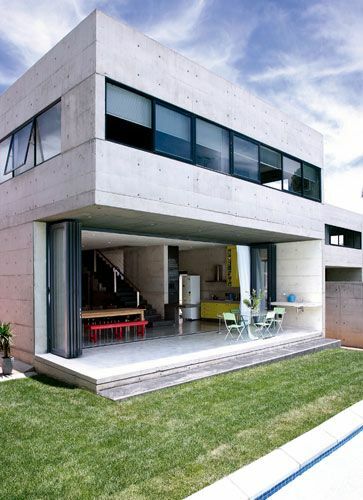 The window and door openings are all much larger than an average house. 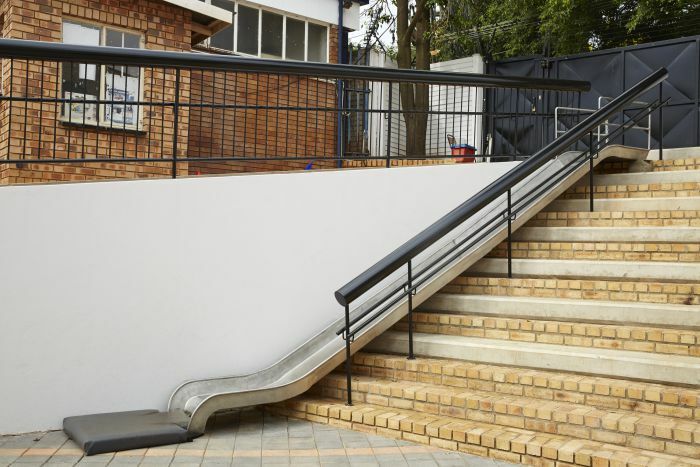 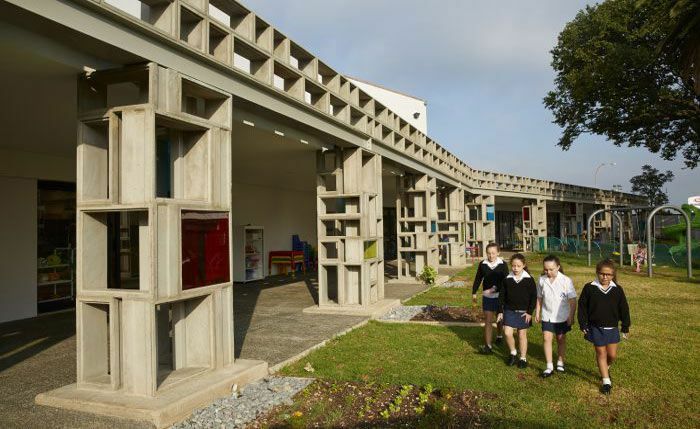 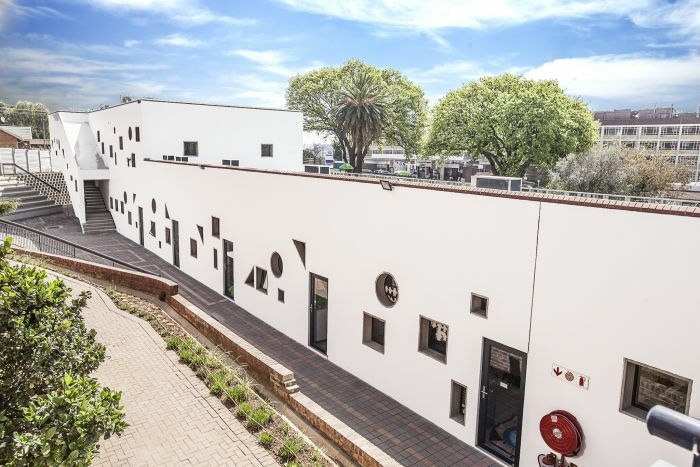 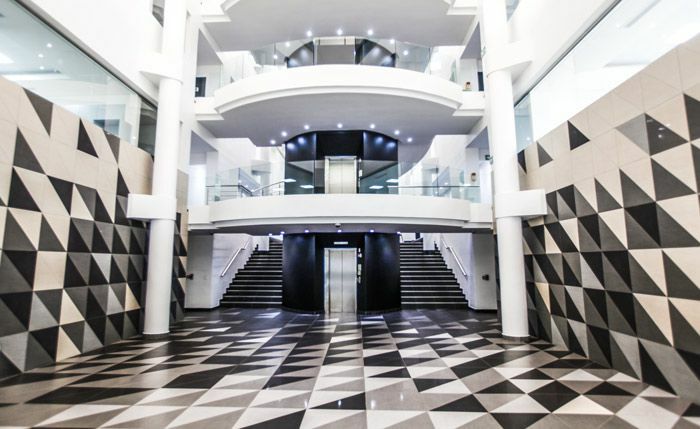 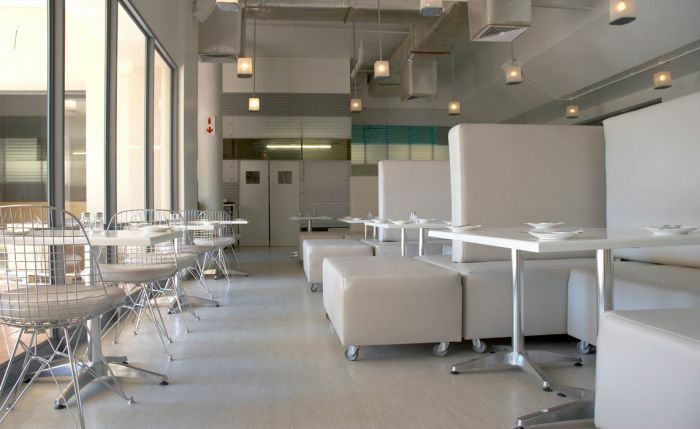 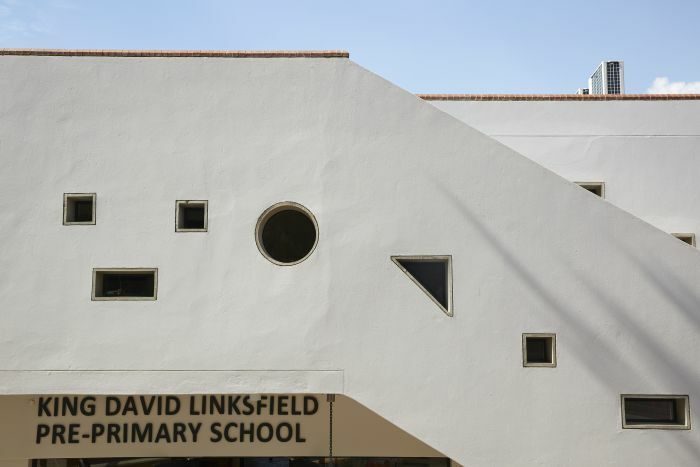 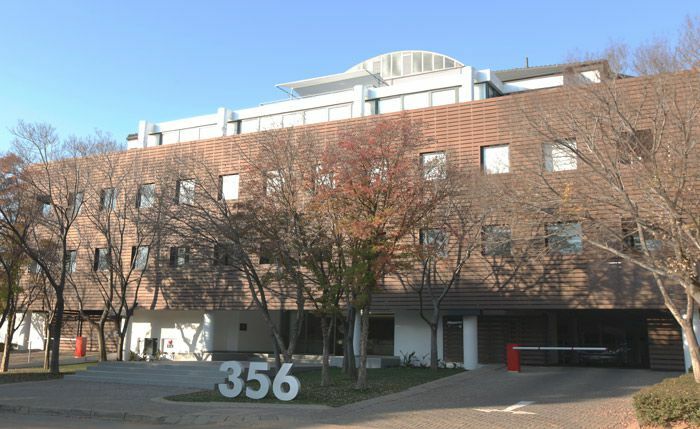 Linksfield, Johannesburg 1,700sqm A new state of the art educational facility, with 19 classrooms, a music room, media centre, performance space, therapy rooms and more. 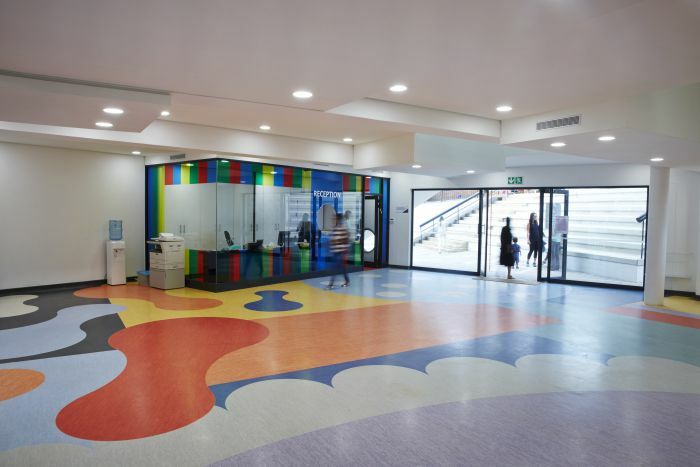 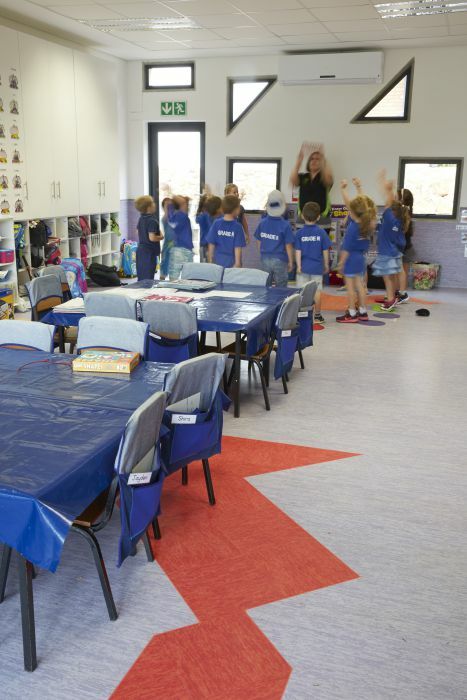 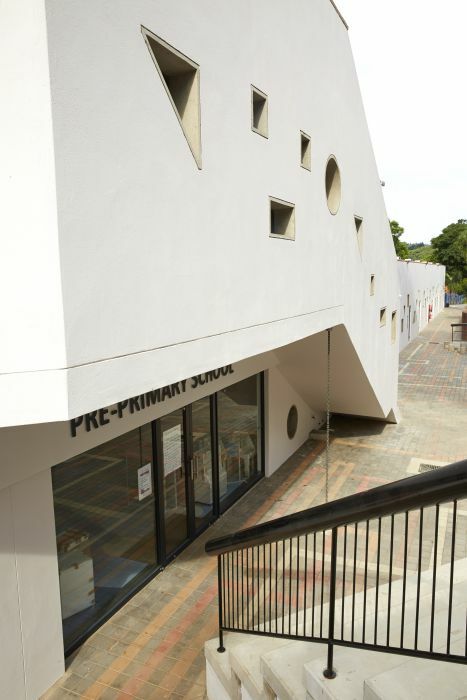 The new KDPPS will cater for close to 500 children, with age-groups ranging from playschool to grade-r (1-6). 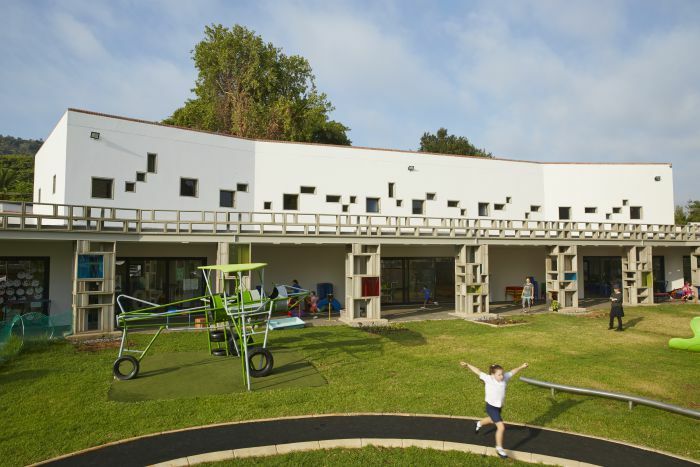 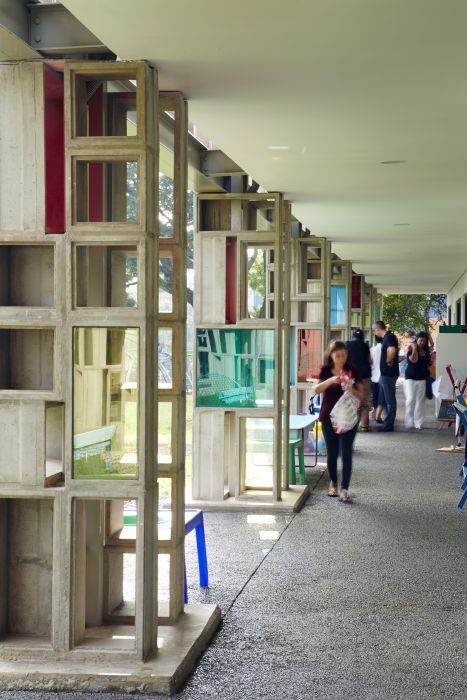 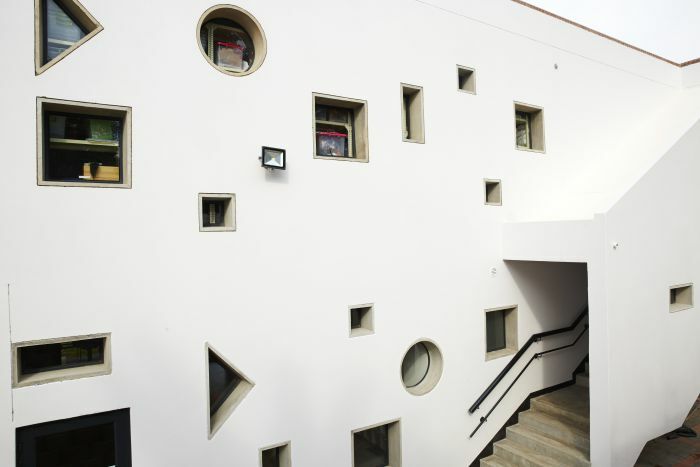 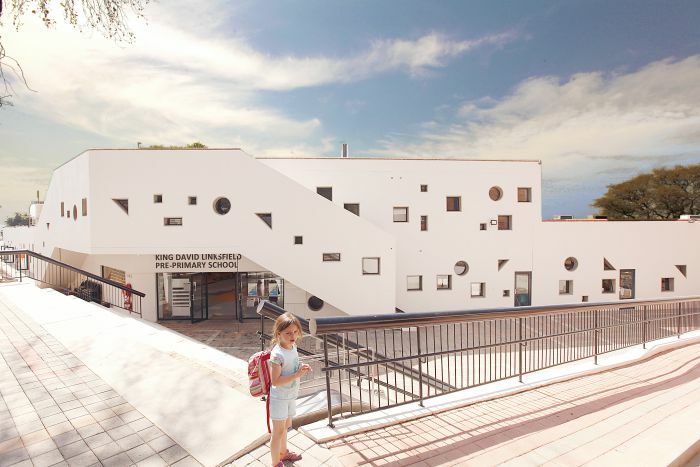 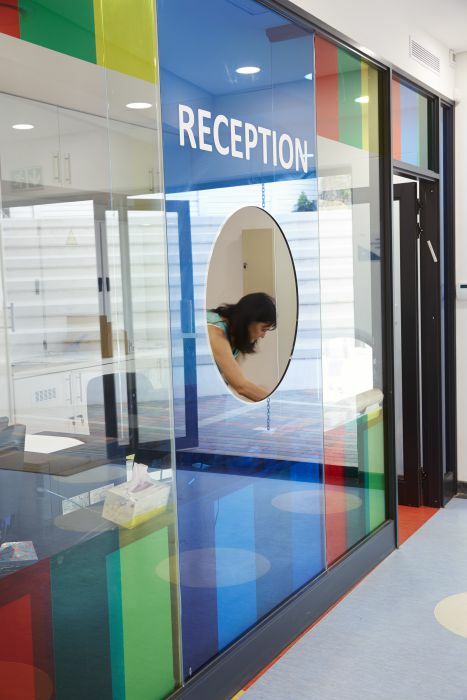 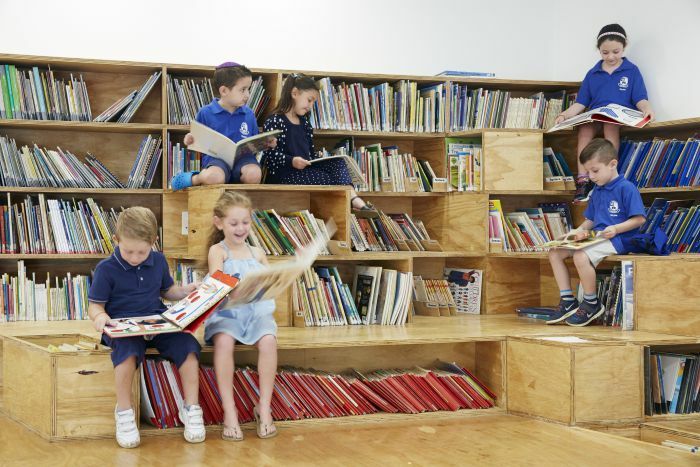 The architectural concept is inspired by the Reggio Emilio methodology of teaching preschool kids. 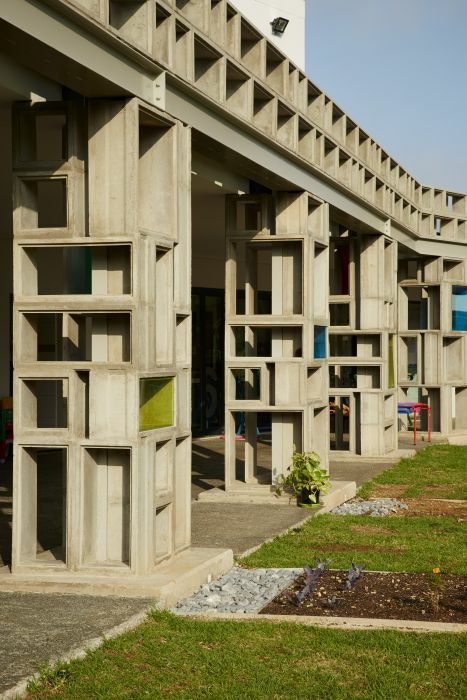 We have used standardized precast concrete openings in various shapes and sizes to create window openings and hollow columns that mimic children’s block buildings. 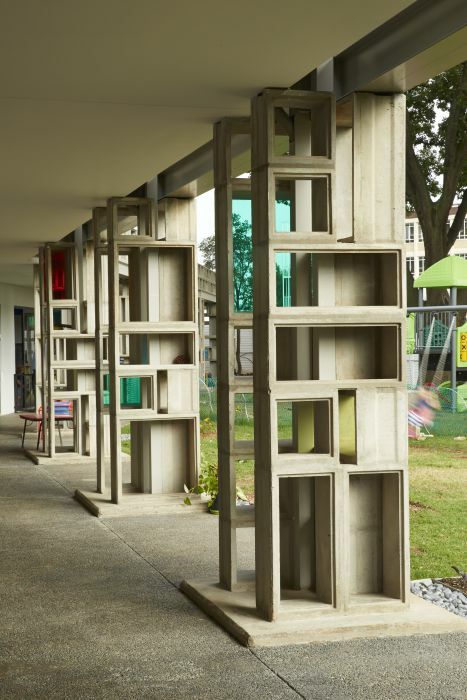 These contribute to a fascinating play of light and shadows within the building which is an important aspect of the Reggio research. 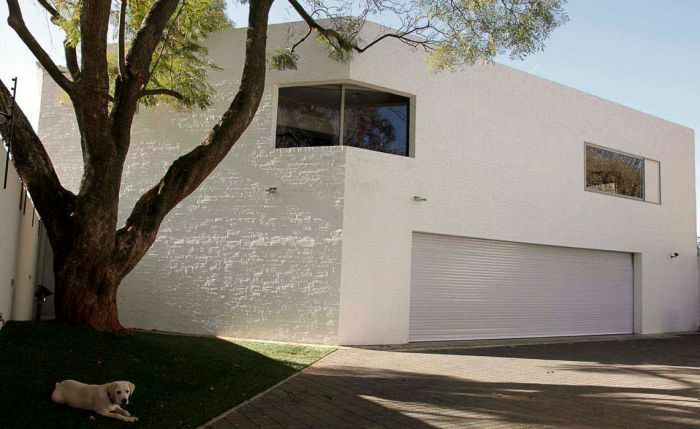 Morningside, Sandton 775sqm This family home was completely gutted and only the roof and some of the exterior walls retained. 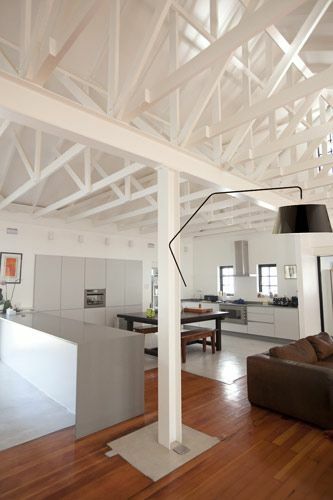 A new steel structure was inserted to support the existing roof. 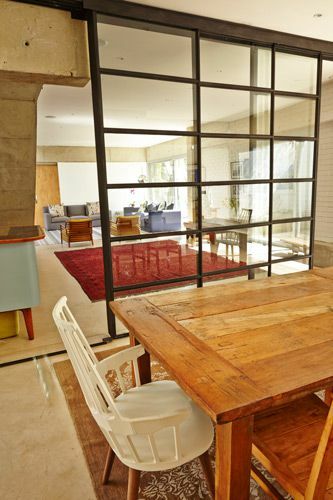 The steel framework was left exposed and allowed to partially rust before giving it a coat of sealant. 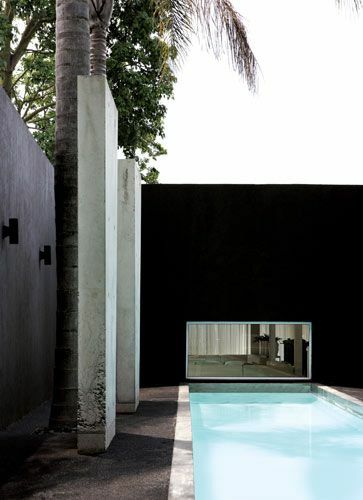 Conceptually the design centres the home around a new swimming-pool courtyard with concrete monoliths. 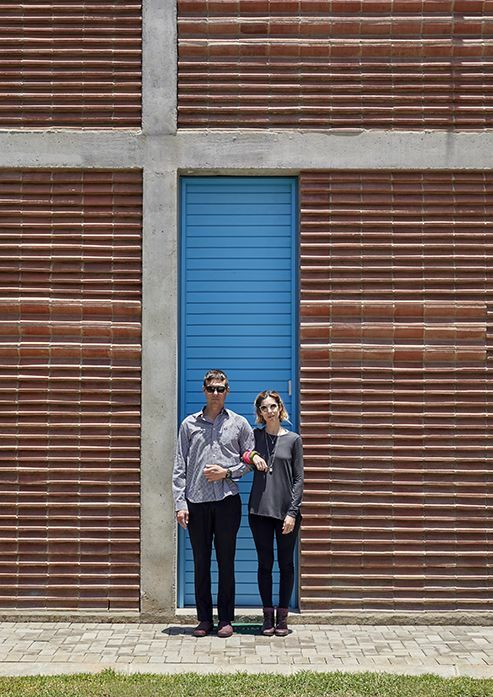 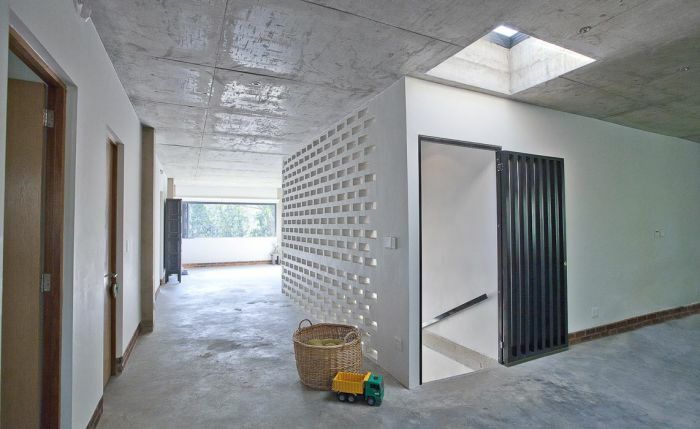 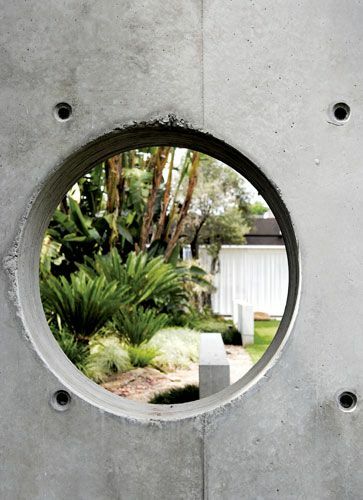 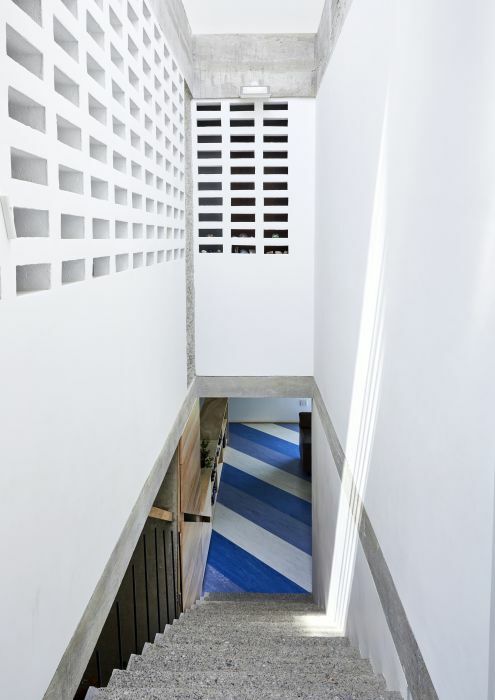 Off-shutter concrete was used extensively for built-in furniture and sculptural elements. 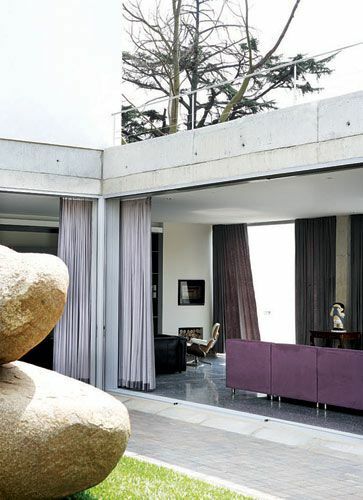 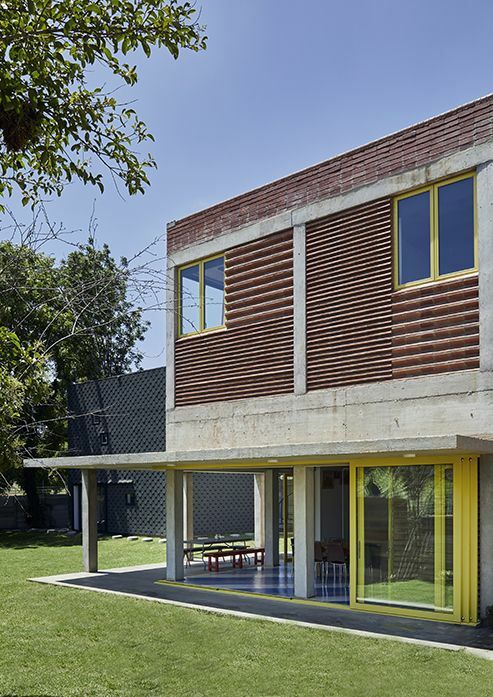 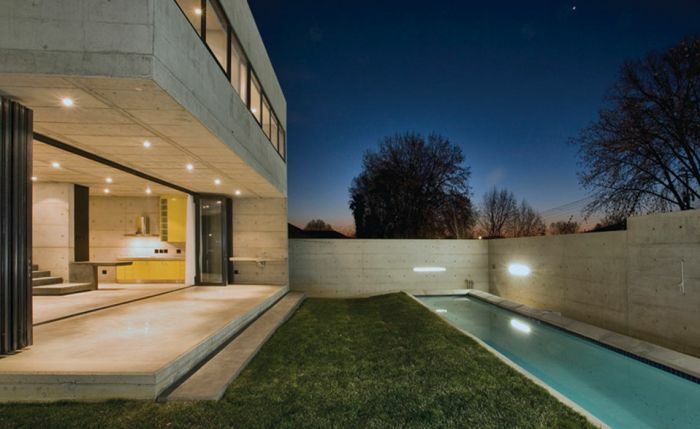 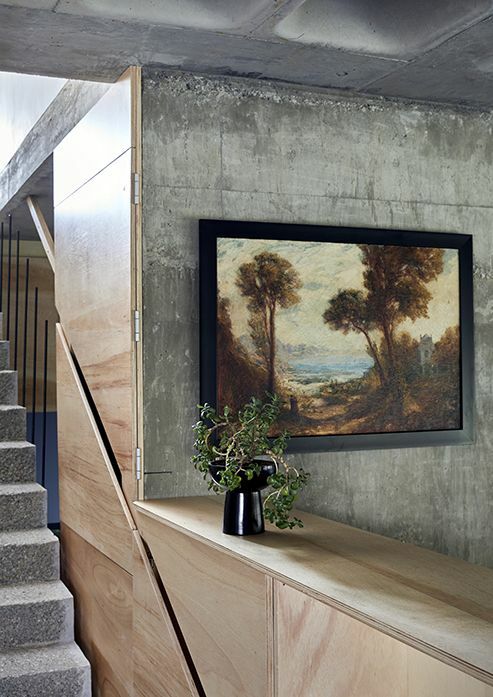 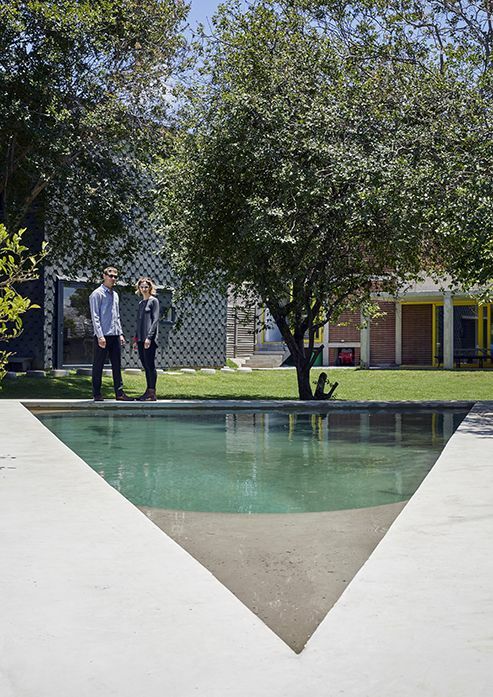 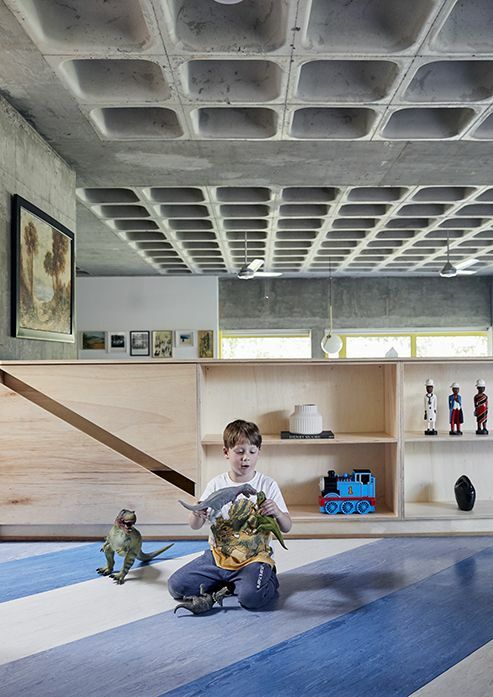 A striking feature of the house is a 13m long, two-legged concrete table. 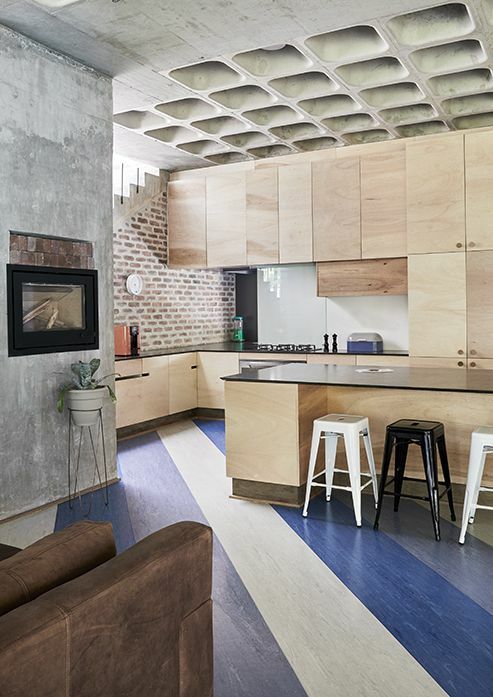 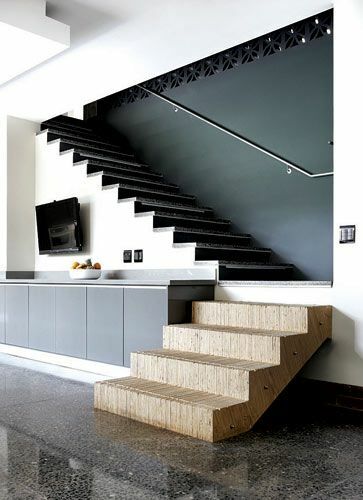 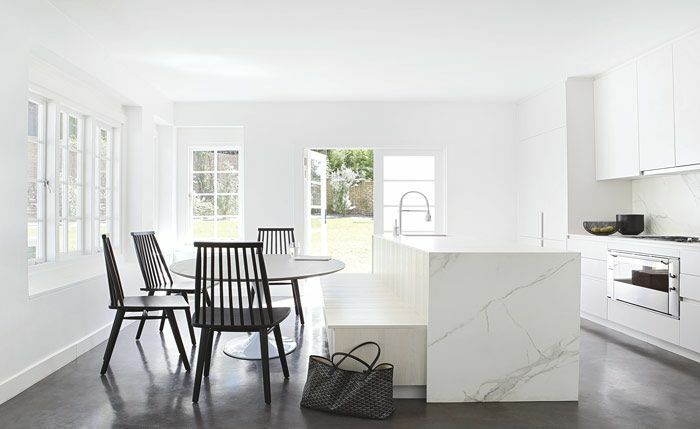 Area: 510m2, Completion: March 1016, Location: Oaklands, Johannesburg, Description: House Sutton is an extensive renovation to a 40’s slate roofed home with “good bones”. 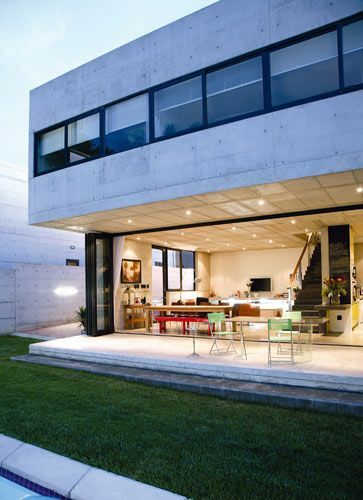 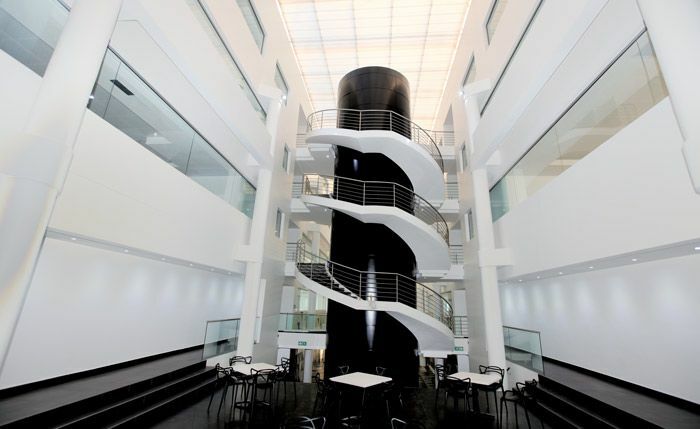 The well-proportioned structure leant itself to the insertion of clean architectural lines. 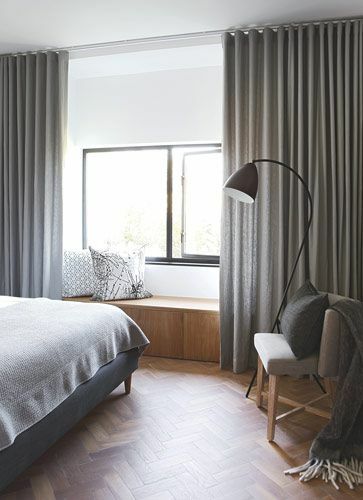 We went for a pared-down, elegant interior and painting all the walls a stark Gallery White created the crispness we were after - softened by pale grey linen curtains throughout. 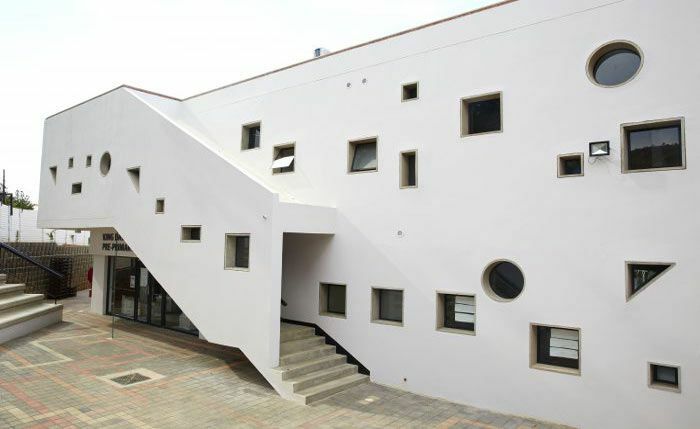 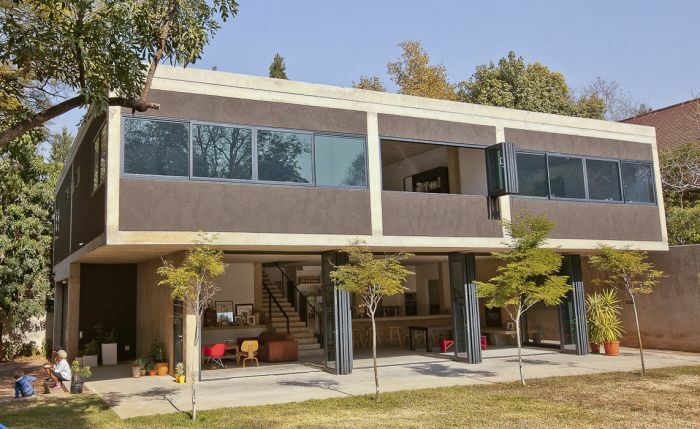 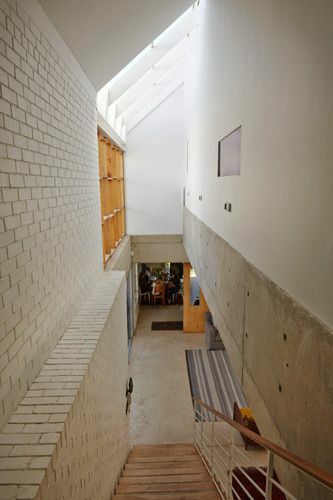 Melrose, Johannesburg, 490sqm. 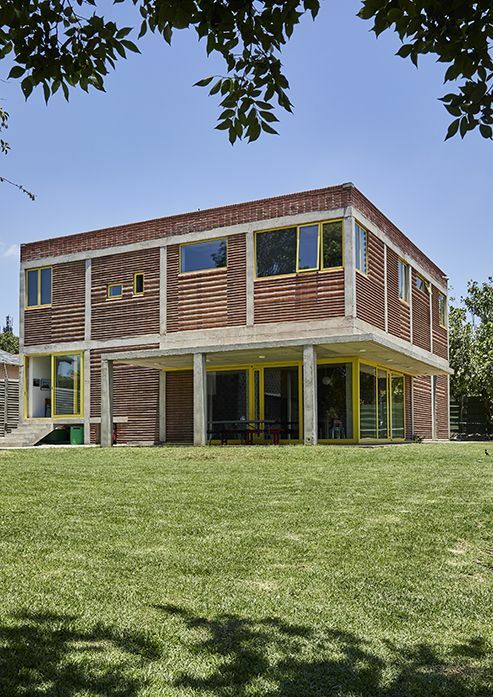 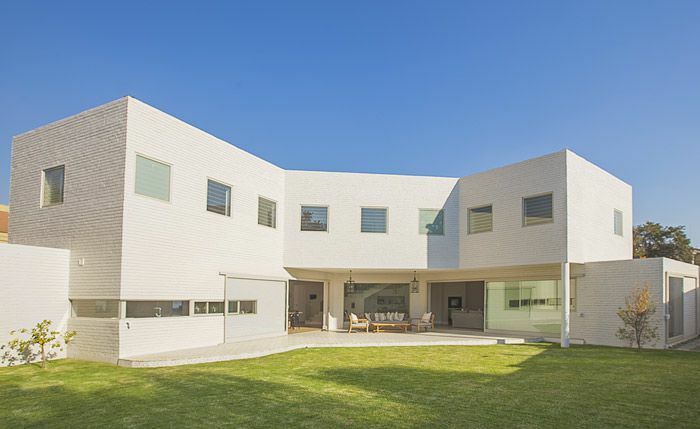 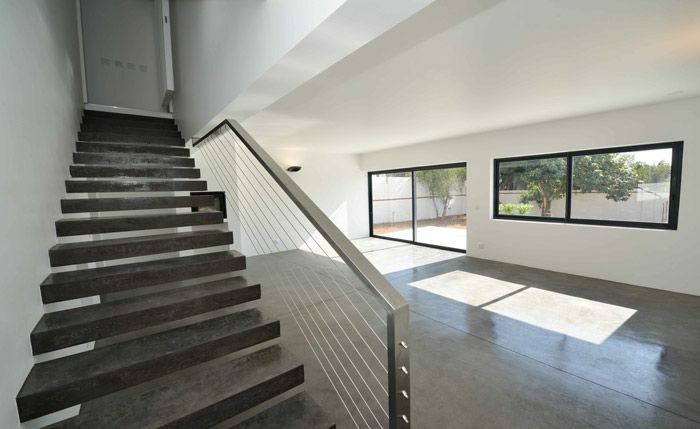 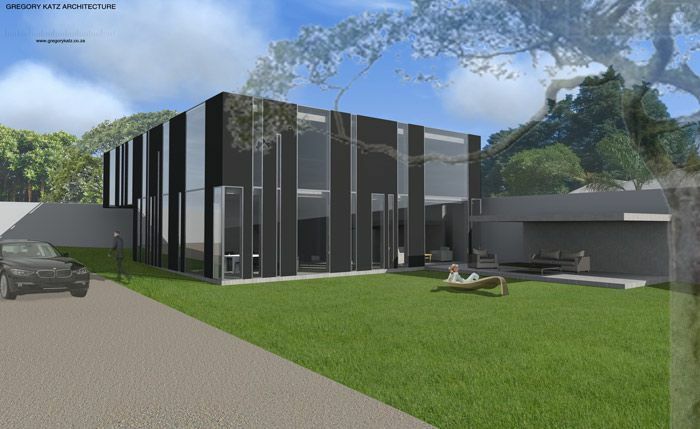 Designed with Bauhaus principles in mind, this new house is an overhanging, symmetrical box resting on a grid of concrete columns, the windows are long horizontal bands, the flat concrete roof is trafficable (there are plans to green it) and none of the interior walls are load-bearing. 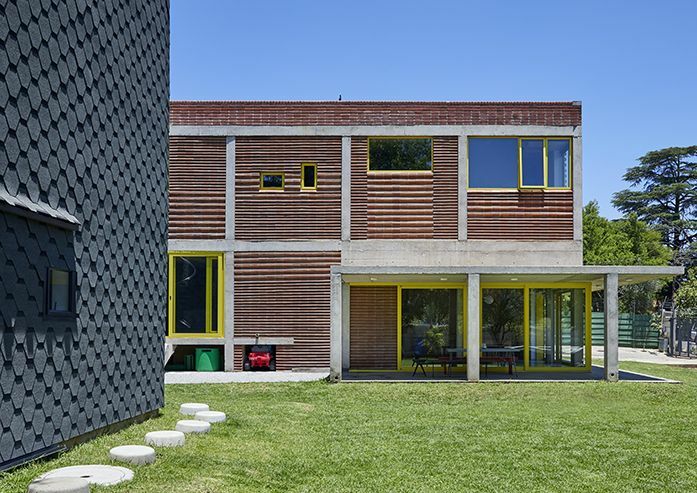 The façades accentuate the concrete grid frame by offsetting the raw concrete columns with slick Marmoran-coated infill brickwork in a dark “black-coffee” colour. 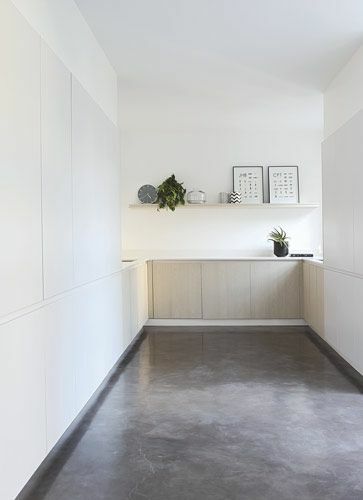 Likewise, on the interior, the raw off-shutter concrete floors, walls and ceilings contrast with the other smooth, white surfaces. 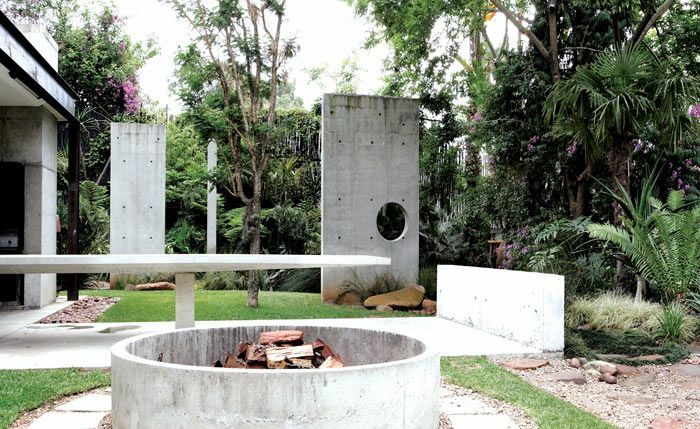 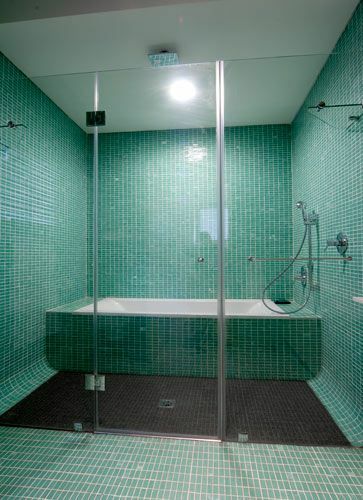 In 2012 Gregory Katz was approached by two of his High School friends to remodel homes they had recently bought. 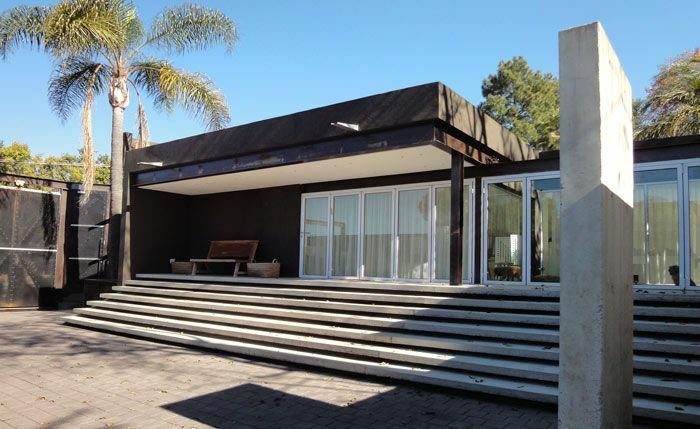 The first of these was House Spira, a Cape Dutch styled home that had undergone many perplexing renovations since it was built in the 1940’s. 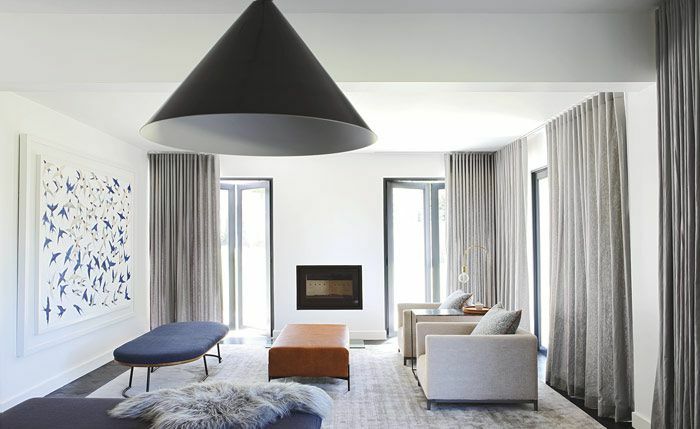 We tried to revive the original farmhouse feel of the house while introducing a sense of generous open and light space by removing the ceiling and exposing the original pine roof truss structure. 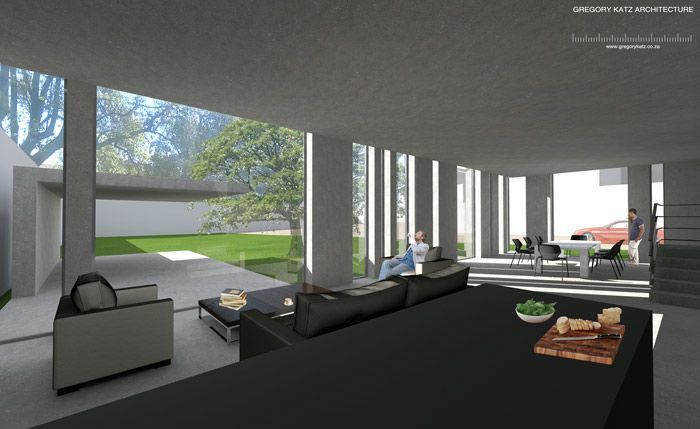 The house is awkwardly positioned in the middle of sprawling park-like gardens, we introduced stack doors on both sides of the living room so that it connect the exterior spaces that surround it. 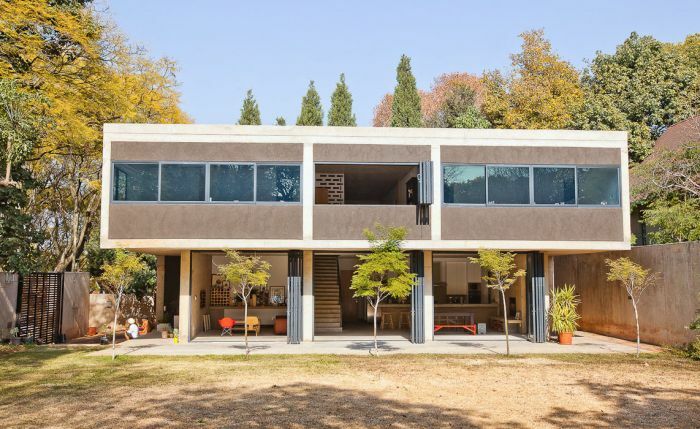 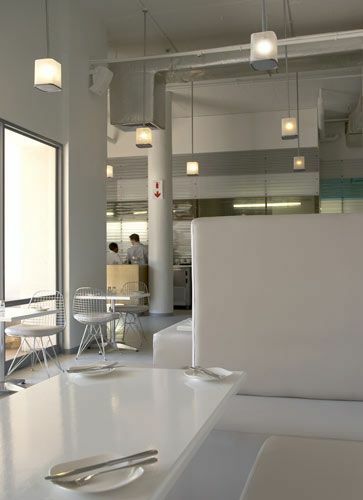 Kramerville, Johannesburg, 2500m2 A two level 1970’s commercial office building was repurposed and converted to house this showroom and headquarters for the renowned French furniture company Roche Bobois’ new Jozi showroom. 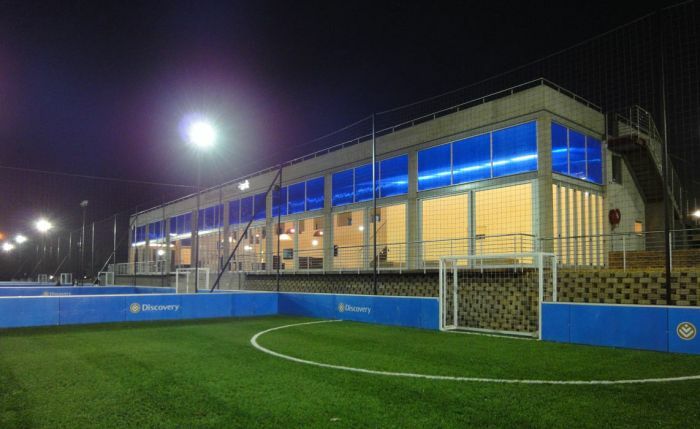 The cladding is a combination of tinted glass and multiwall polycarbonate. 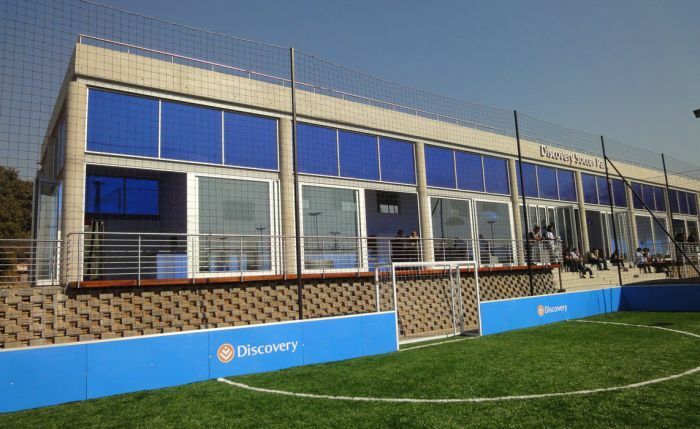 The frosted polycarbonate panels have a patented interlocking edge so they create a hermetic and seamless finish. 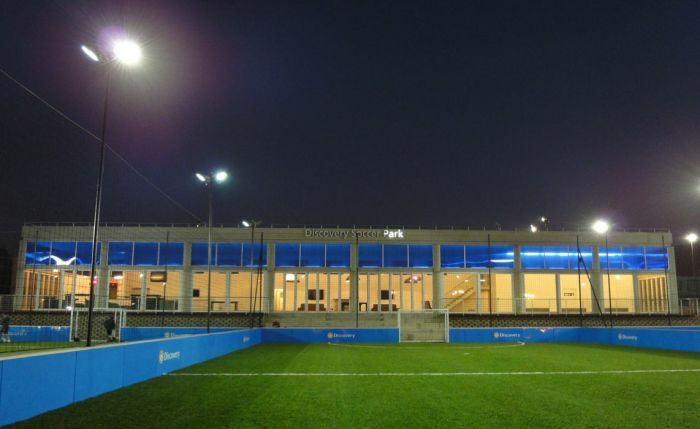 At night, a “lightbox” effect is created as the striking white polycarbonate shell is illuminated by the interior showroom lighting. 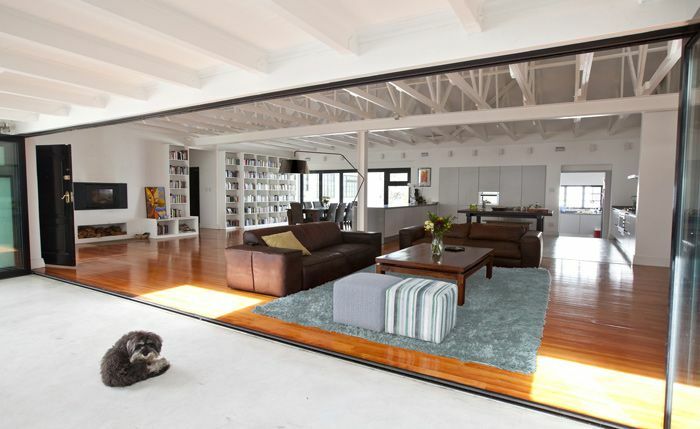 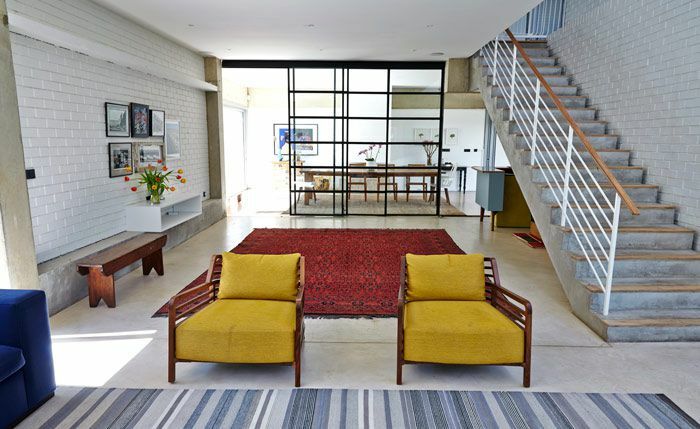 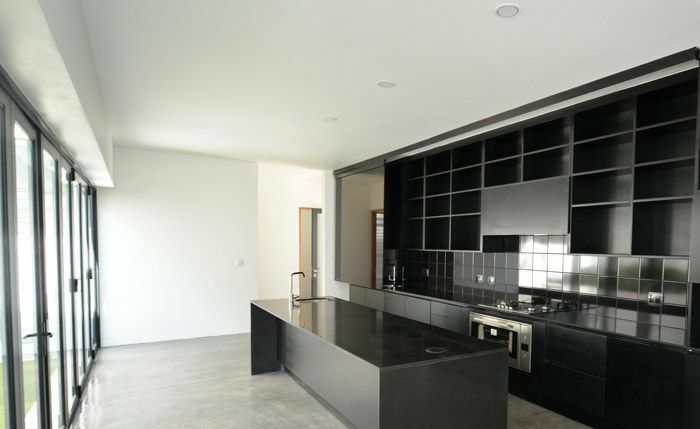 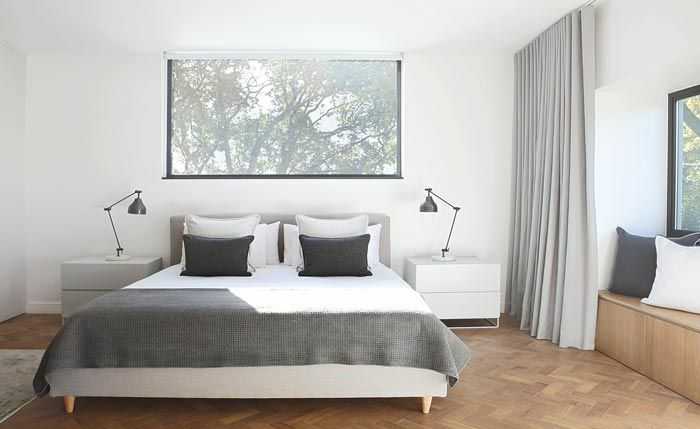 Oaklands Road, Johannesburg, 205sqm. 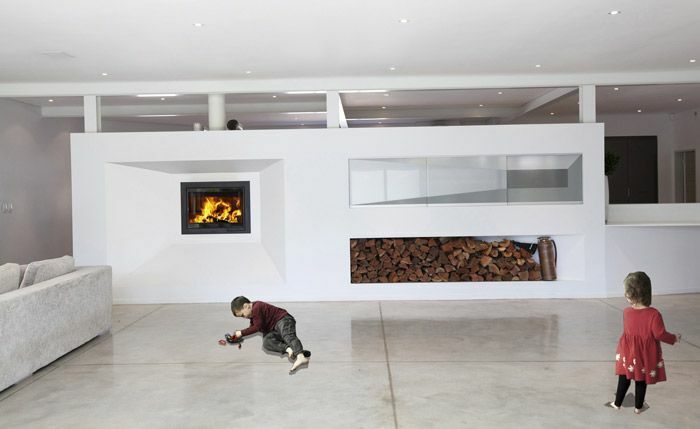 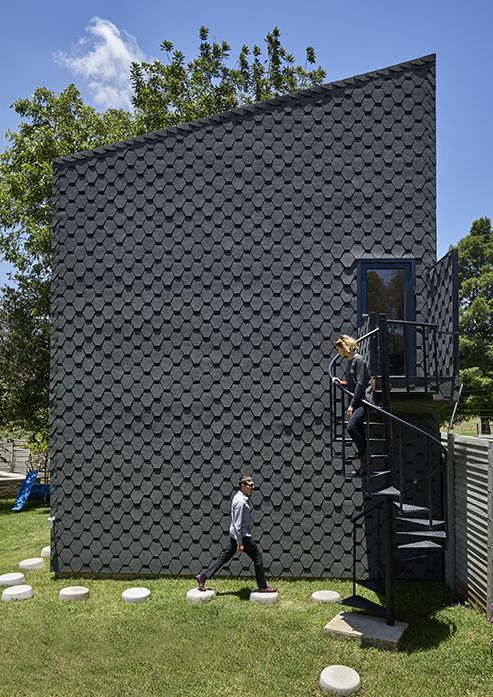 New compact family home with unique shaped openings. 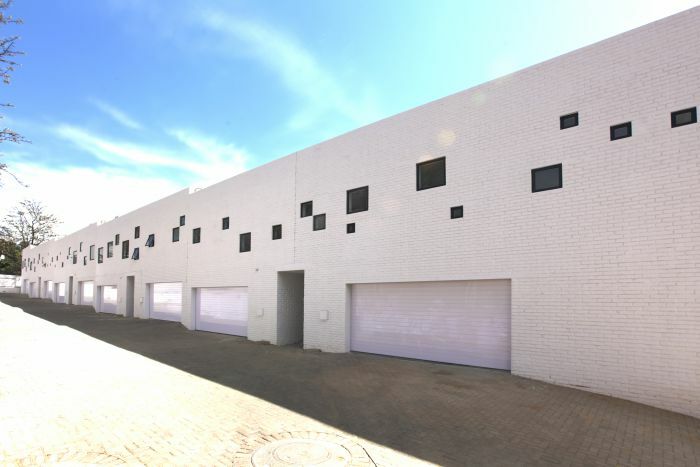 Nugget Road, Johannesburg, 6042sqm. 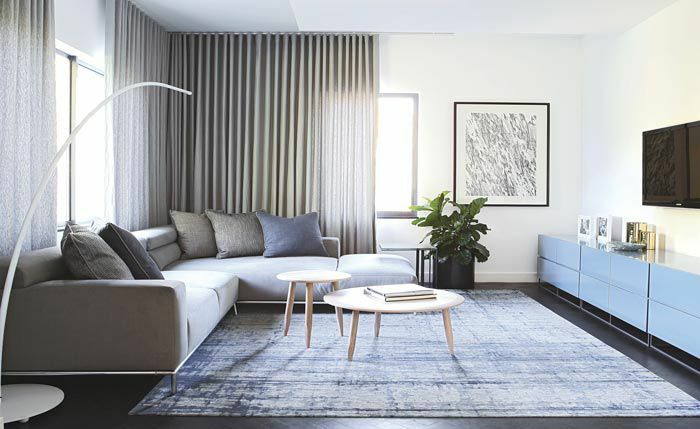 New multi-story high density apartment building in Johannesburg CBD featuring extra wide circulation spaces and communal laundry facilities on every floor. 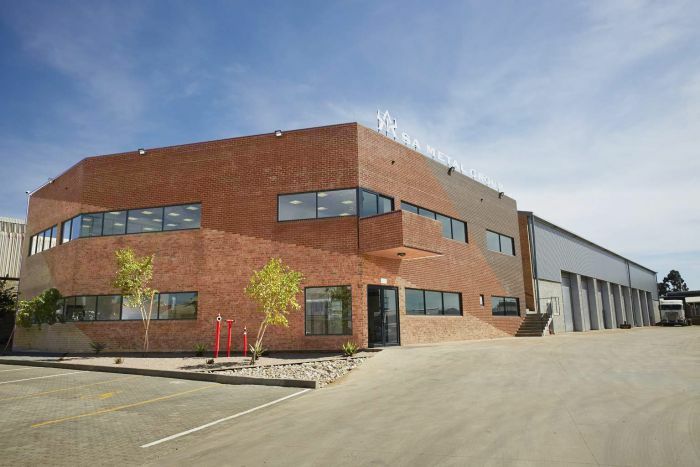 Hawkins Estate, Johannesburg, 7870sqm. 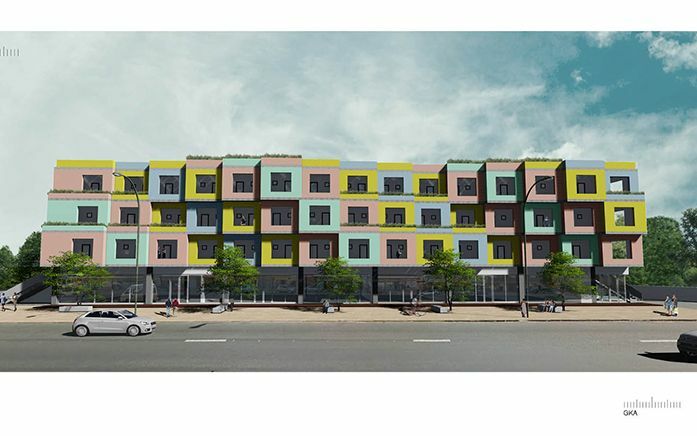 New multi-story high residential development on top of a retail block on the Louis Botha corridor. 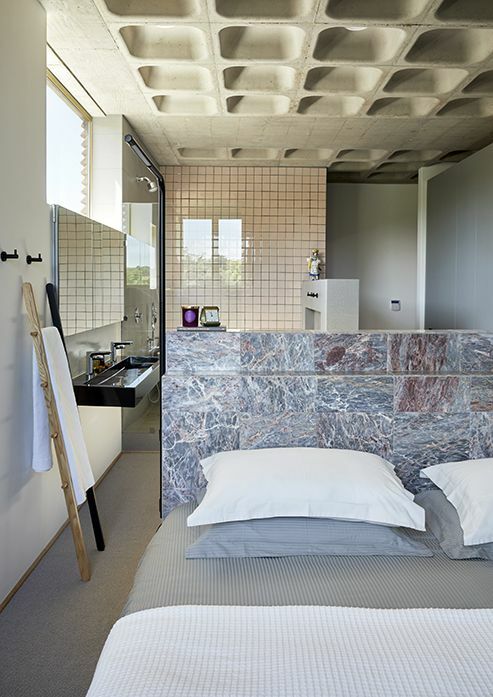 120x20sqm studio apartments. 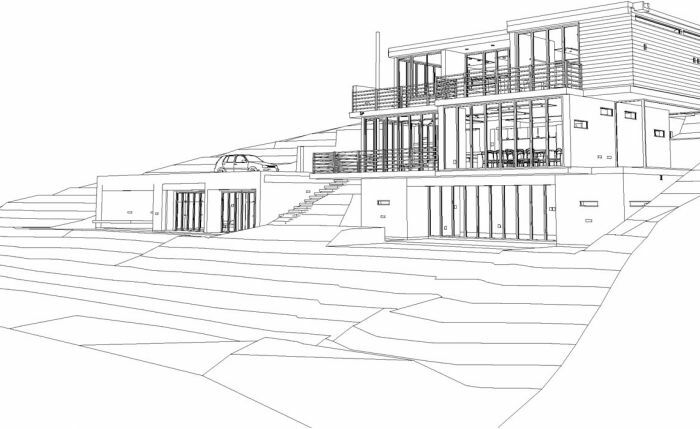 Elevations have a parametric undulating character. 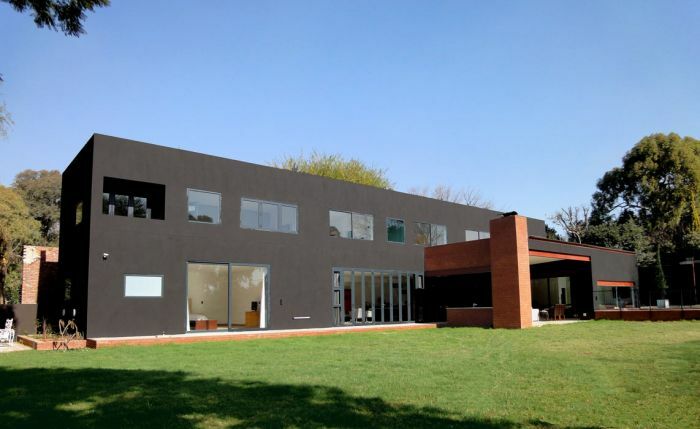 Shipston Lane, Victoria, Johannesburg, 1059sqm. 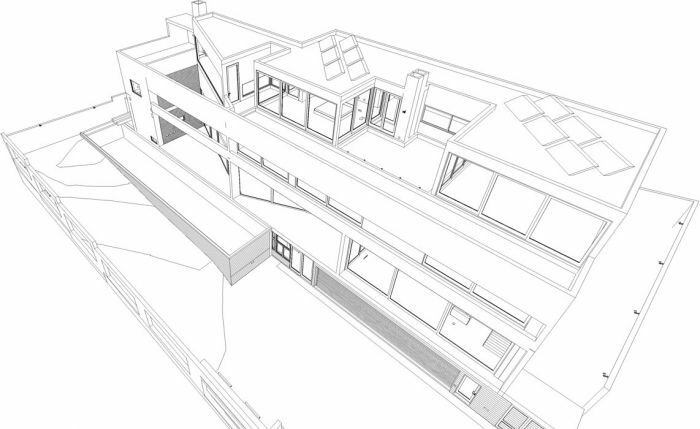 High density up market residential development 20x 2 bedroom units with generous circulation areas that double as "social condenser" spaces. 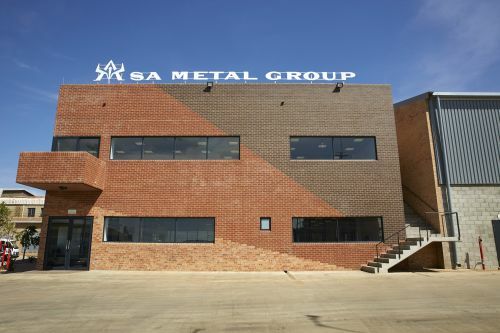 Cross Street, Glenhazel, Johannesburg, 30 000sqm. 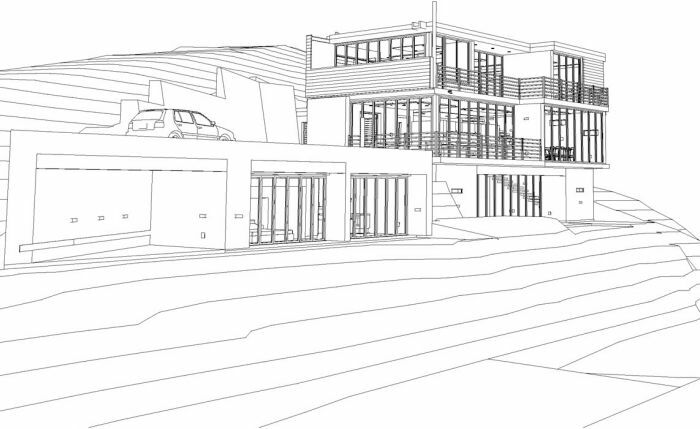 New residential development of 230 luxury homes on an embankment. 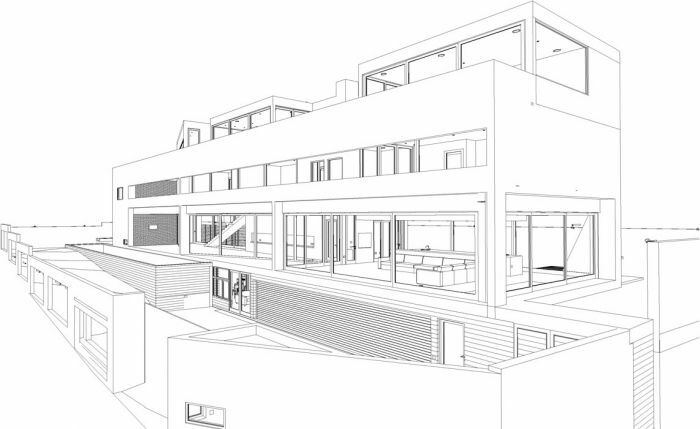 Each home is on a single level with direct access parking and a large covered terracing garden. 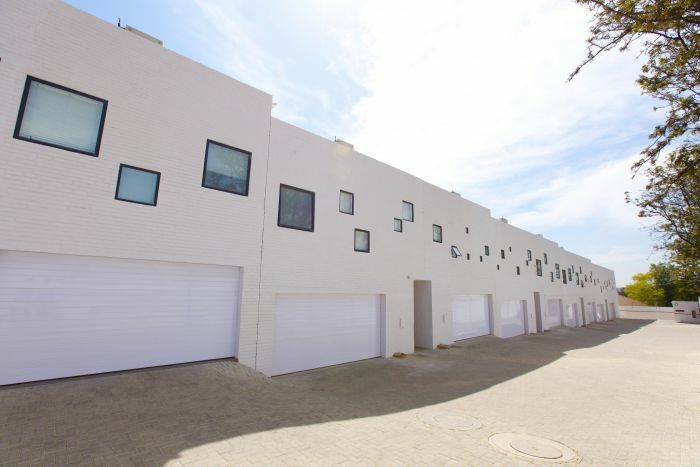 All units are north facing with outstanding views. 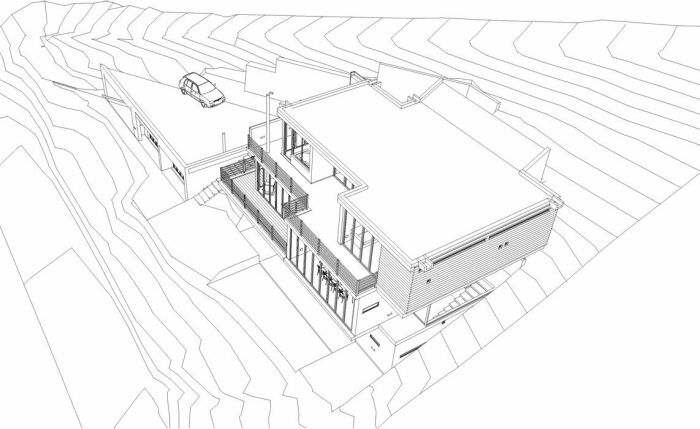 Misty Cliffs, Cape Town, 360sqm. 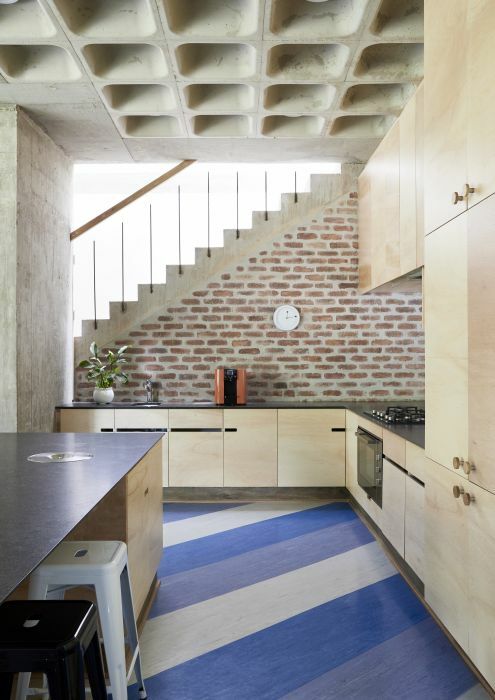 Perched on a steep cliff overlooking the Atlantic, this is a holiday home for a Johannesburg couple. 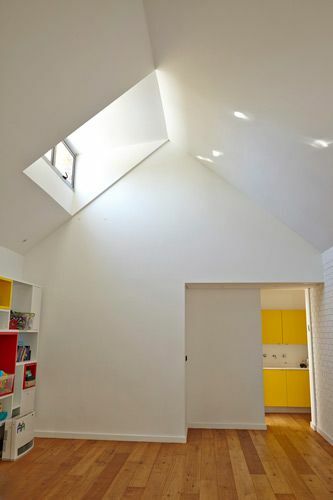 The overhanging “boxes” are a result of thinking about the home’s security during times when it’s unoccupied and make the upper storeys of the building impossible to access.